Flexi, 7.25 x 10 in. / 120 pgs / 75 color. Edited by Kurt Almqvist, Louise Belfrage. Text by Daniel Birnbaum, Briony Fer, Branden W. Joseph, David Lomas, Hans Ulrich Obrist. 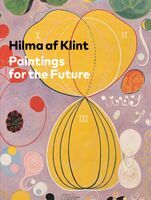 Thanks to the efforts of various international curators and artists, Swedish painter Hilma af Klint (1862–1944) is now widely regarded as a pioneer of abstract art. This volume reproduces the last abstract images series made by af Klint in the 1920s, which have never before been published in their entirety. 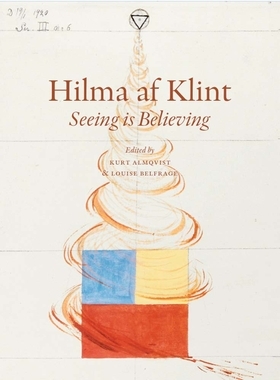 These images are complemented by essays based on lectures delivered during the exhibition Hilma af Klint: Painting the Unseen, at London’s Serpentine Galleries in 2016. Briony Fer, David Lomas, Branden Joseph, Hans Ulrich Obrist and Daniel Birnbaum shed new light on af Klint and her importance for artists today, also addressing the need for a broader conception of art history that her work proposes. FORMAT: Flexi, 7.25 x 10 in. / 120 pgs / 75 color.